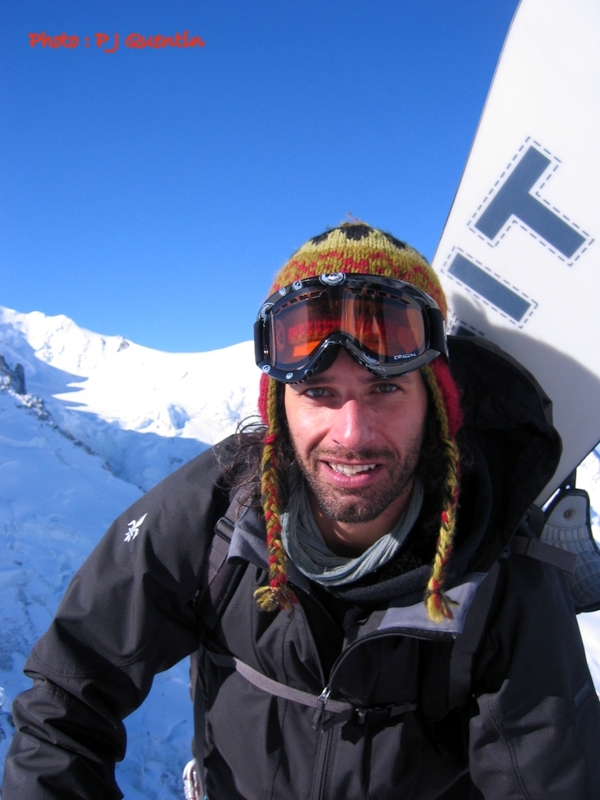 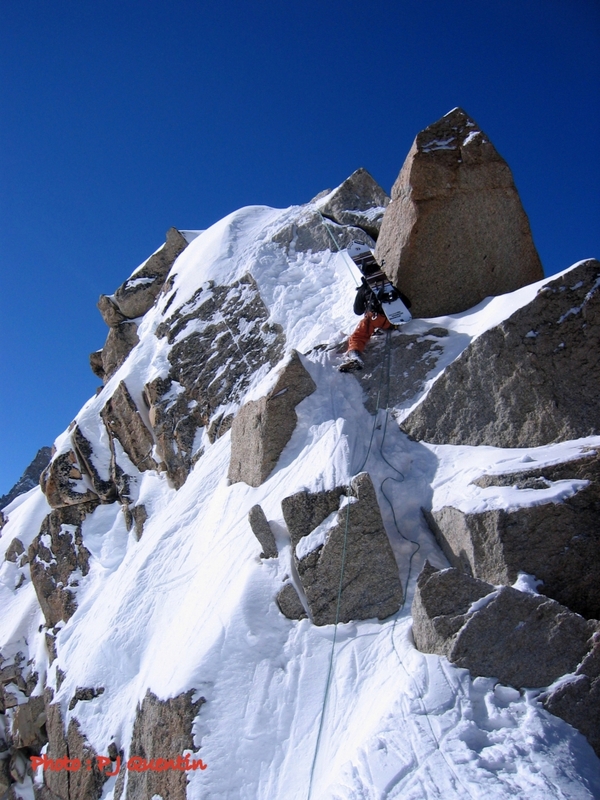 With my friend Pierre Julien we decided to go up to the Aiguille du Midì to ride one of the classics, such as the Glacier Ronde or the Cosmique couloir. 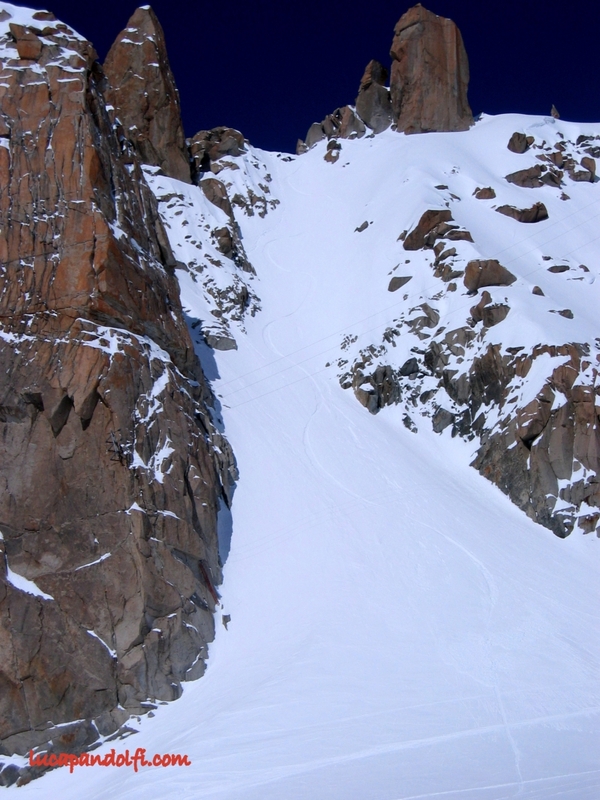 Was a beatiful bluebird sky day with 40 cm of fresh powder, but a too much crowdy sunday for our taste. 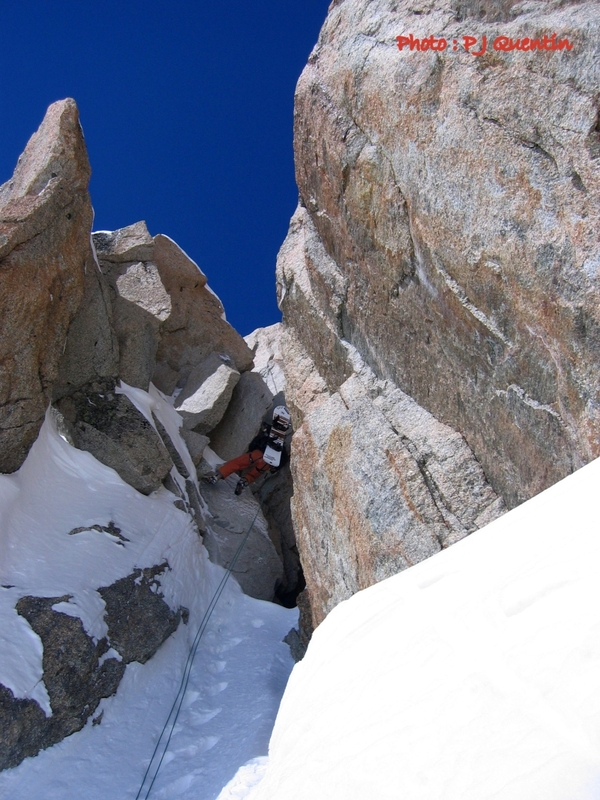 We decided to climb the first part of the Cosmique ridge and drop into this short but nice and virgin couloir. 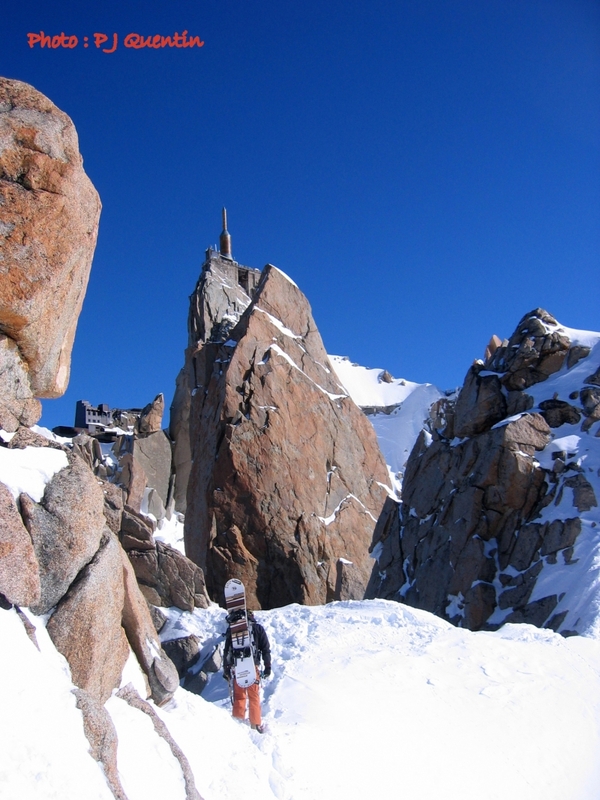 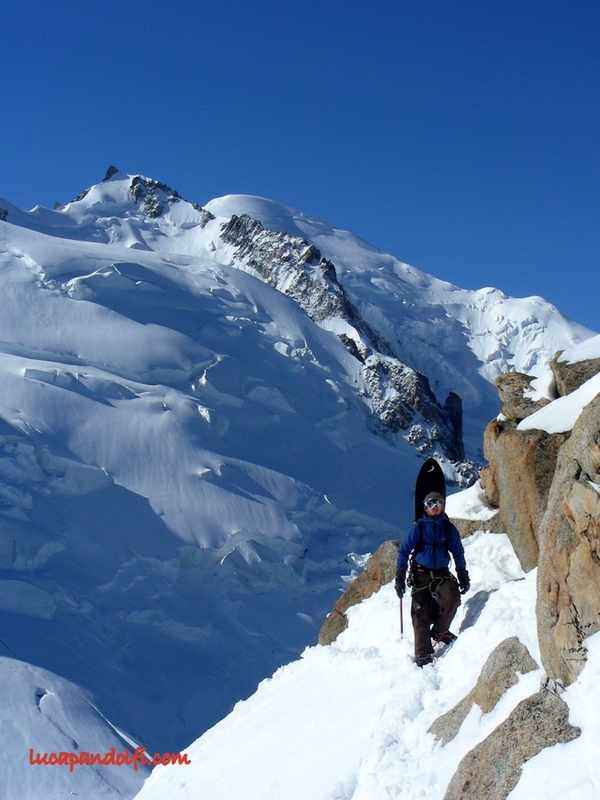 Conditions were perfect, few big steep turns and we finished down the “vrai Vallèe Blanche”.